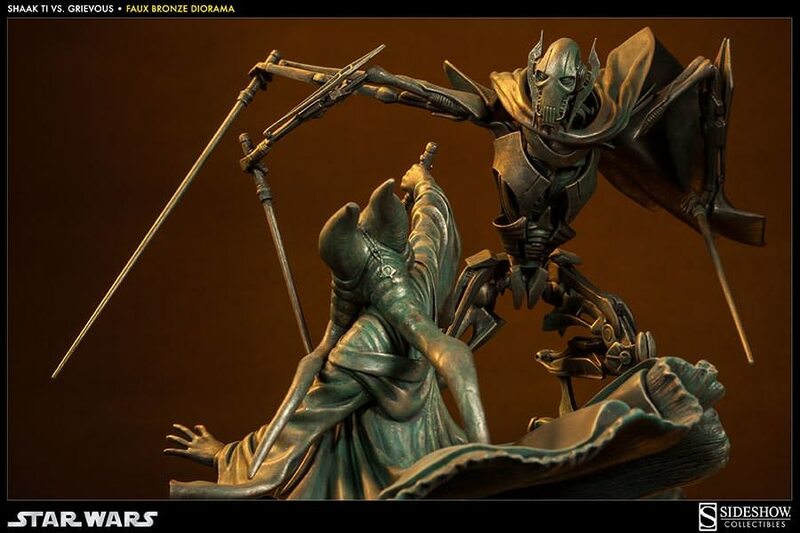 Sideshow Collectibles is proud to present the 'Hunt for the Jedi' - Shaak Ti VS General Grievous Diorama, depicting their near-deadly clash at the Battle of Hypori. 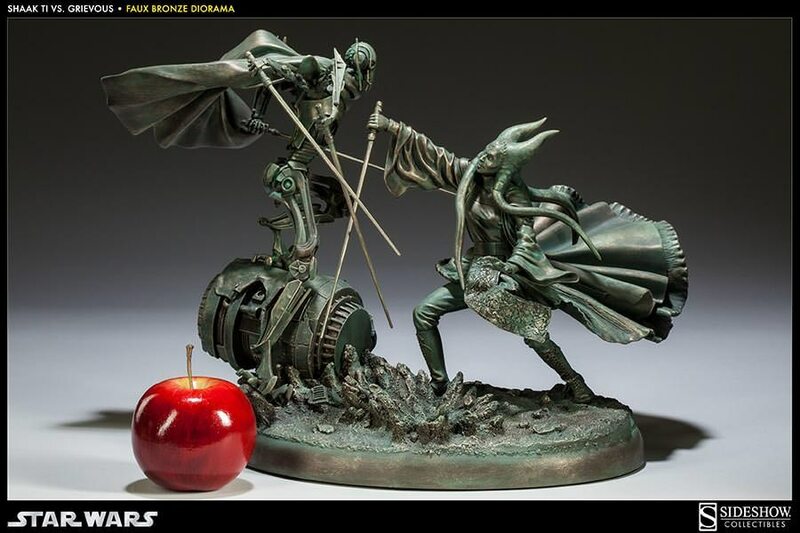 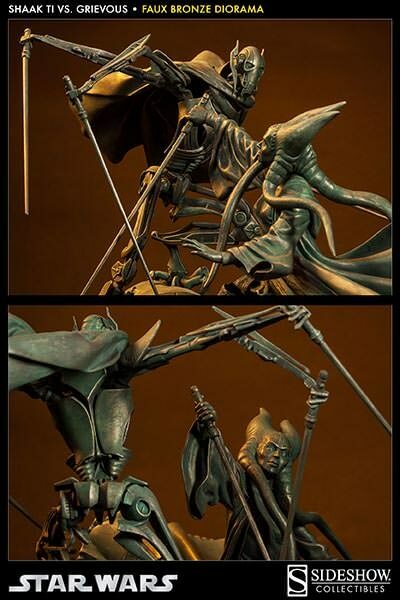 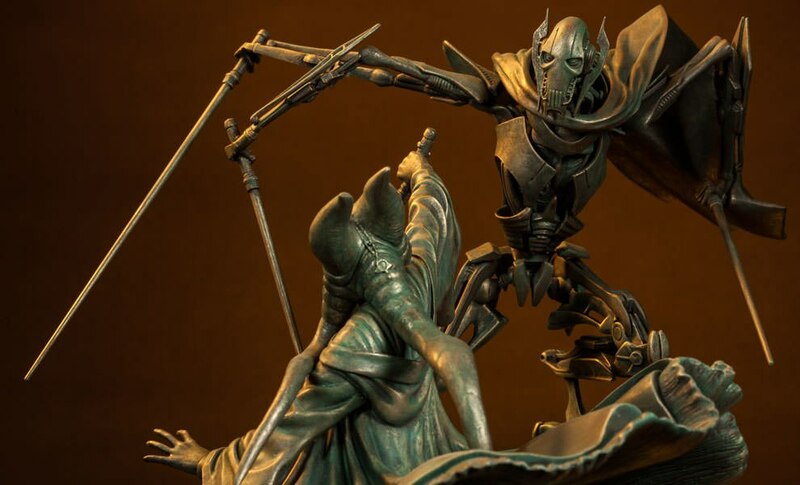 The detailed sculpture captures the intensity of the ongoing battle between the Jedi and the Dark Side. 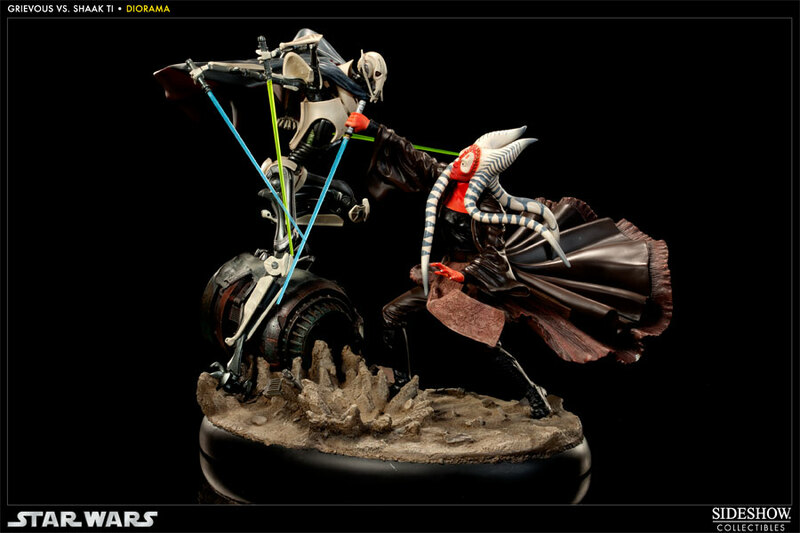 Presented in approximately 1:8 scale, each diorama is individually painted and finished to exacting standards, each with its own unique quality and detail that is the trademark of a handcrafted Sideshow Collectibles Diorama. 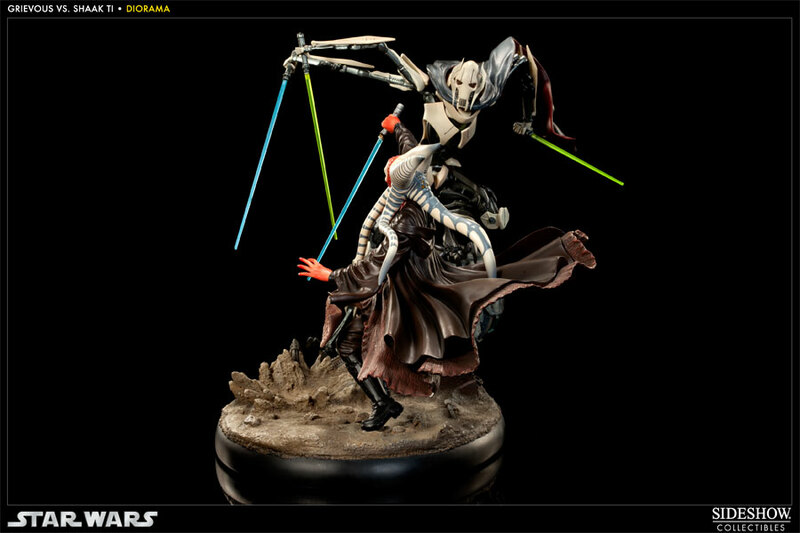 This stunning piece will make an outstanding addition to any Star Wars display! 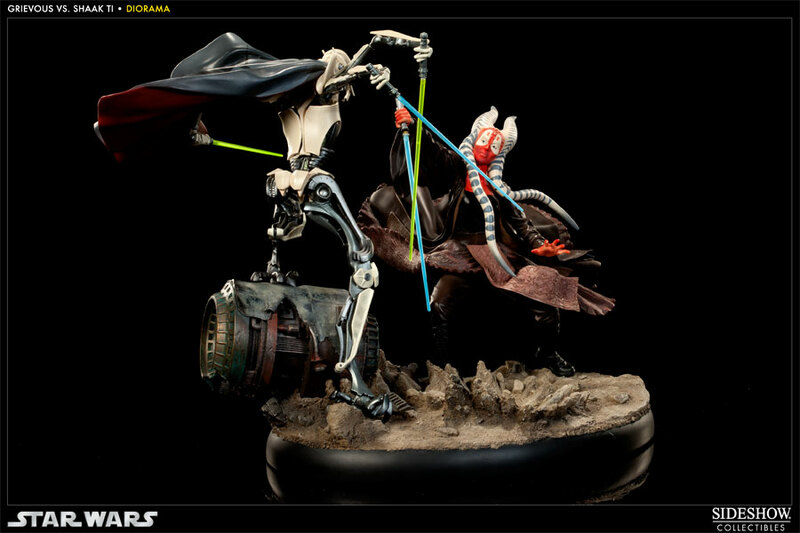 (c) 2012 Lucasfilm Ltd. & TM. 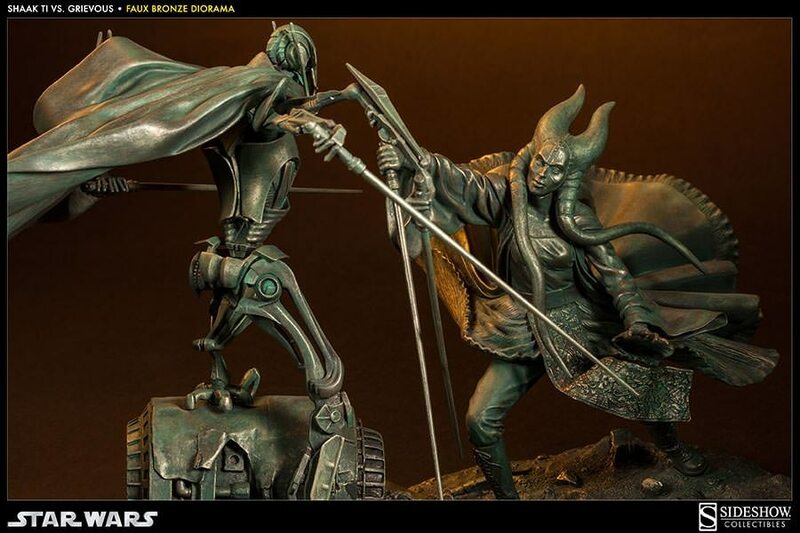 Sideshow Collectibles is proud to present the 'Hunt for the Jedi' - Shaak Ti VS General Grievous Faux Bronze Diorama, depicting their near-deadly clash at the Battle of Hypori. 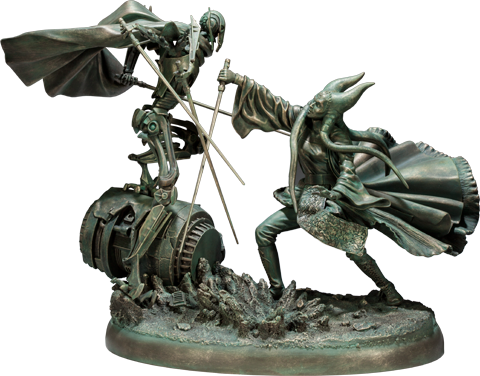 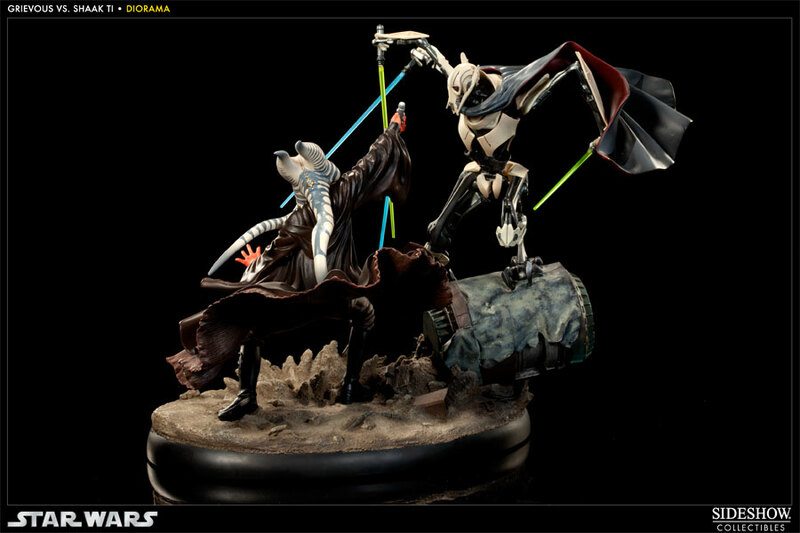 The detailed sculpture captures the intensity of the ongoing battle between the Jedi and the Dark Side. 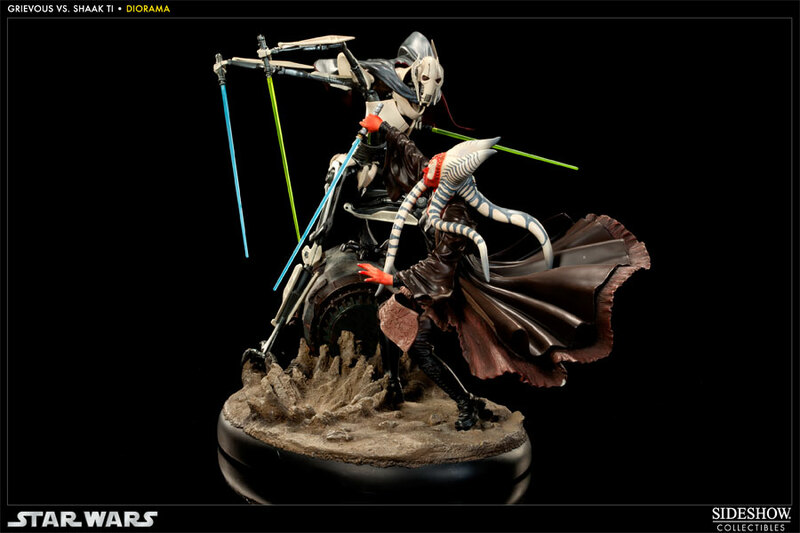 Presented in approximately 1:8 scale, each diorama is individually painted and finished to exacting standards, each with its own unique quality and detail that is the trademark of a handcrafted Sideshow Collectibles Diorama. 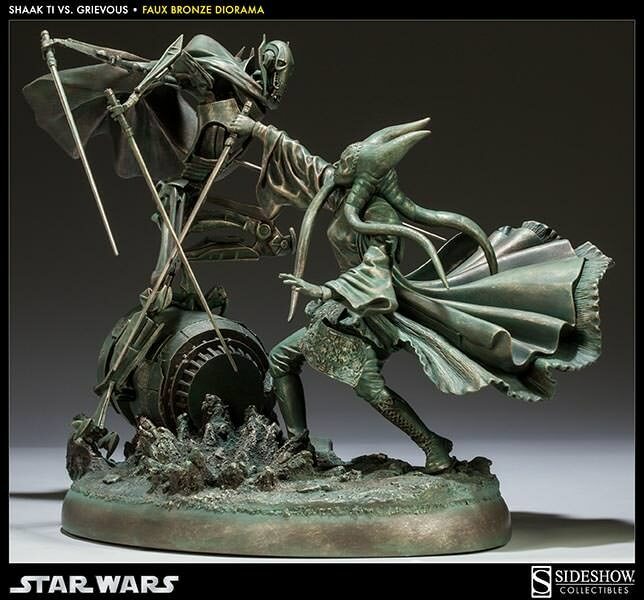 This stunning piece will make an outstanding addition to any Star Wars display!